This entry was posted in Diversions, HE, University and tagged Daily Mail, Diversions, Elbow, Honorary Degrees, Independent, universities by Paul. Bookmark the permalink. Totally agree although as you say there are some grey areas. 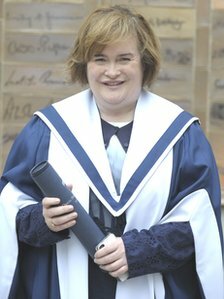 If, say, Brian Cox is given a bunch of hon degrees soon it is certainly likely that they would be initiated by his recent fame. That said he is a serious scientist in his own right and his incredible rise to fame has, hopefully, introduced at least a seed of interest in physics and science in many children. I hope so anyway. So, I would say he is grey and hopefully there are others to follow.